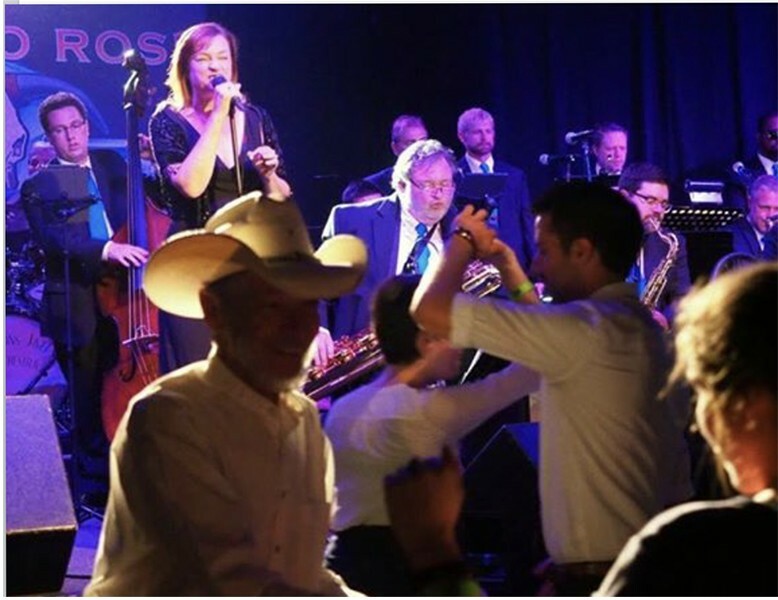 The Buffalo Rose has teamed up with the Flatirons Jazz Orchestra once a month to bring you an afternoon of excellent food and great music. This unique event happens on the second Sunday of every month. You and your family don’t want to miss this! Tickets are $15 advance at https://tickets.holdmyticket.com/tickets/328310 or $18 walk-up at the door. Seating is limited. The delicious 3-course meal is $15 + gratuity and can be ordered at the concert. We hope to see you this Sunday at the Buffalo Rose and bring your dancing shoes! Dance or just listen to the great Swing Era music of Count Basie, Duke Ellington, Benny Goodman and more. All ages welcome. Built in 1922 and converted into an elegant indoor pool in 1928 called the “Golden Plunge”, The Rose main venue and lobby offer roughly 6500 square feet of bygone-era art deco glamour. Visitors enter under the classic grand marquee on Washington Ave. and are immediately transported back in time to the great western American theaters of the early 20th century. The Lobby features lounge-style seating, classic parlor games, and four big-screen television. Guests pass by a fully stocked bar as they enter into the main venue space with soaring ceilings, bold steel trusses, elegant lighting and original brick walls. The Rose also features a concert-quality sound system, a large video projection system, a full-sized dance floor and an elevated stage enabling comprehensive entertainment options. There are two public parking garages conveniently located within a block of The Buffalo Rose: between Jackson St. and Prospector’s Alley and between 11th and 13th Streets.